A catchy theme by Catch Themes, Full Frame is a simple, clean and spacious WordPress theme designed for content-focused websites in mind. As the name goes, the theme features a full-width and responsive design that is also highly customizable. 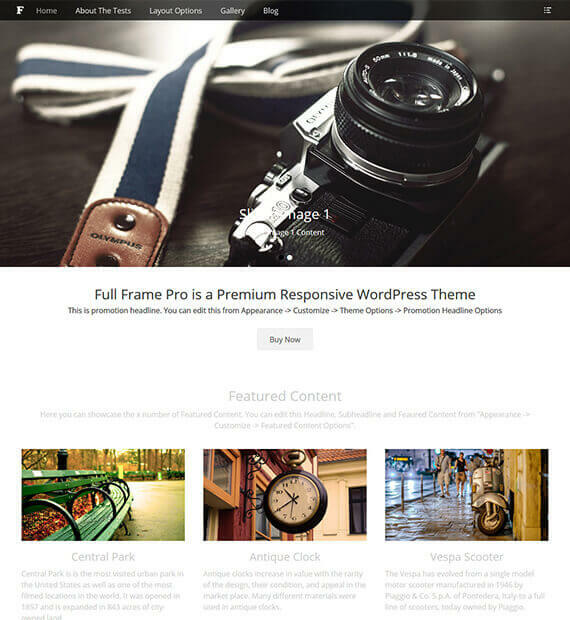 Being a flexible designed theme, you can use this theme for any site that you wish. The retina ready layout adds the extra appeal to your site with a ton of interesting and effective features. Add the ingenious side to your website with the choice of multiple portfolio layouts to display all of your amazing work of arts.